Many people say that play is the work of children, but what they may not realize is just how essential play is to growing children. Children use play as a way of exploring their environment and developing skills. Play is needed for the development of the whole child – for healthy physical, emotional, social, and intellectual development. Preschoolers benefit greatly from physically active play. In addition to aiding physical development such as refinement of gross and fine motor skills, improved balance and endurance, greater strength, coordination and flexibility; physical activity has many mental health benefits as well. It reduces the incidence of anxiety and depression, and alleviates stress. 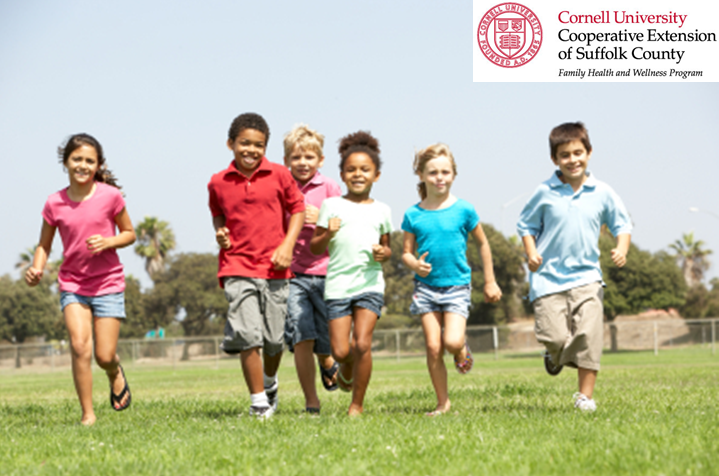 Regular physical play may also reduce behavioral problems, improve sleep and provide an outlet for emotions. Physical play is also crucial for maintaining a healthy weight. More than 9 million US children are now overweight, triple the number since 1976. Children are being diagnosed with diseases usually seen among adults, including high blood pressure, high cholesterol and type 2 diabetes. Additionally, studies have found that physical activity in early childhood increases the strength and amount of bone mass that is developed. Reduce the amount of “screen time” your child has each day. Screen time includes computer and tablet use, watching television, videos or DVDs and time spent playing videogames: essentially using anything with a screen. The American Academy of Pediatrics recommends that children under the age of two have no screen time and children over the age of two have no more than one or two hours a day. Look for toys that encourage movement such as balls, dump trucks and ride on toys. Get outside. Go for a walk or bring your child to the park, playground or beach. Allow plenty of time for unstructured, free-play. Resist the urge to sign your preschooler up for organized sports. Set an example by being active yourself. Engaging you preschooler in regular active play will not only aid in his development and health outcomes, but may also improve behavior and build confidence. Helping your child develop a love of movement now will give him a gift that will benefit him throughout his life. Your Active Child: How to Boost Physical, Emotional and Cognitive Development through Age-Appropriate Activity by Rae Pica. I can see how physical play can maintain weight in kids. It can be hard to get children to exercise. But a game of tag can be good cardio that kids don’t view as work.